The island of Ile aux Aigrettes as seen from Pointe d’Esny, Mauritius. The last few weeks have been a blur of spicy curries, afternoons in unrelenting sun, and turquoise waters. My freckles are glowing and new ones emerge each day, despite my best efforts to cover up. I tend to keep up such a pace on these trips that I often forget to take notes, so I am happy to take a day off to chronicle my experiences and to reflect on all of the things I have seen. So far I have summited three mountains, snorkeled in two bays, visited a handful of nature reserves, observed rare and endemic bird species, and had my fill of street foods, from heavy faratas to fried balls of arrowroot. One of my favorite places to visit is Ile aux Aigrettes (Egret Island), a tiny island off the East Coast of Mauritius. Visiting the island is like walking back in time. While mainland Mauritius is overrun with exotic and invasive species, Ile aux Aigrettes (IAA) is a haven for the rare and the endemic – a glimpse back to what Mauritius would have looked like before colonization. 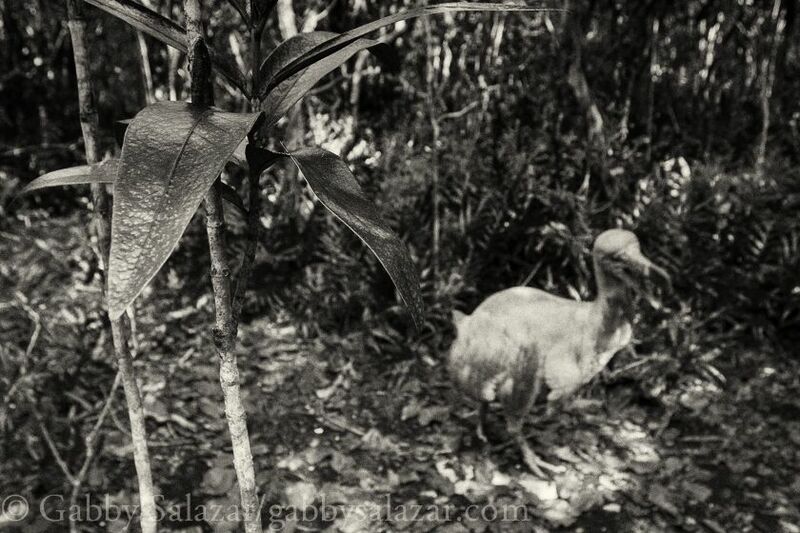 In 1985, the Mauritian Wildlife Foundation began restoring native plants on IAA. 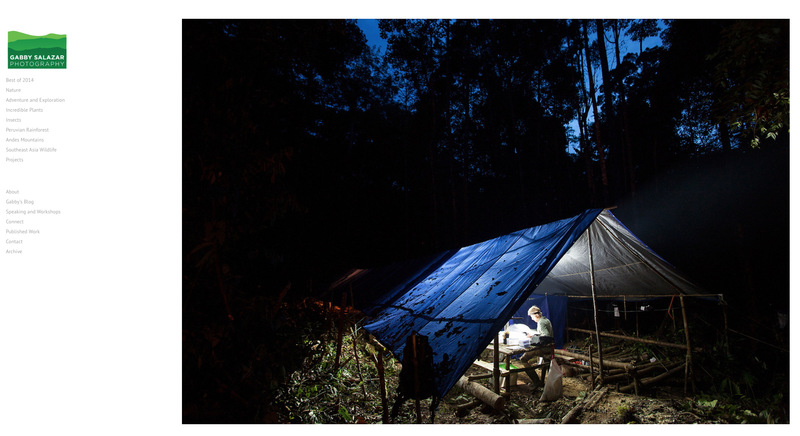 The first step was removing all of the exotic species – fast-growing plants that towered over rare endemics and introduced animals that competed with (or ate) native birds and reptiles. After that, MWF started to plant endemic trees and flowering plants and to gradually reintroduce species that needed a safe haven. 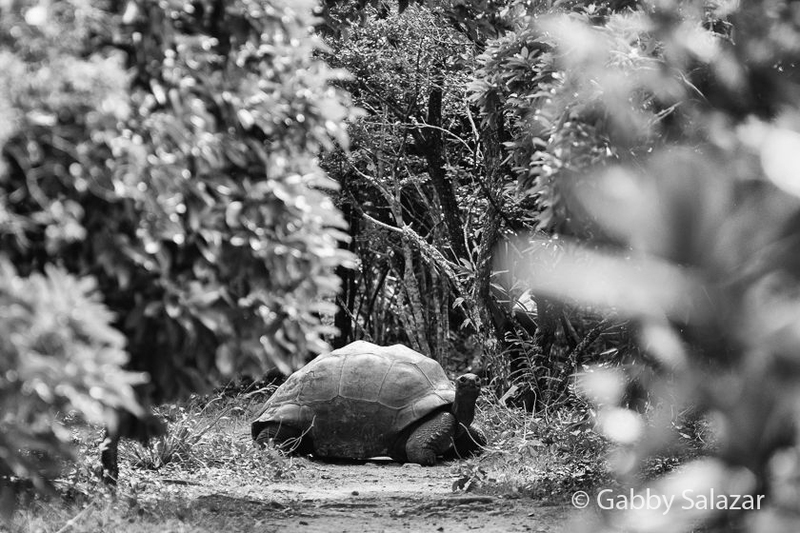 On the tiny island, you can find 21 giant Aldabra tortoises, originally from the Seychelles. Mauritius had it’s own species of giant tortoise, but it was driven to extinction due to overharvesting by the Dutch and French settlers who first visited the island. It was actually Charles Darwin (who visited Mauritius) who helped move some Aldabra tortoises to Mauritius toward the end of the 19th century. Now, IAA is one of the few places where you can see these species in the wild. An Aldabra giant tortoise on Ile aux Aigrettes, Mauritius. The other reptiles are equally interesting – from the jewel-like Phelsuma day geckos to the endangered giant skinks. The day geckos are some of the most brilliantly colored creatures I have ever encountered. They hang out in the palms, often tucked away between the leaves. Day geckos are really only found in the Indian Ocean islands and mostly on Mauritius and Madagascar (there are two exceptions to this rule – one species on the East Coast of Africa and one in the Andaman Islands). Mauritus has four species, and the one found on IAA is called the Mauritius ornate day gecko (Phelsuma ornata). They look like they are grinning if you catch them at the right angle. 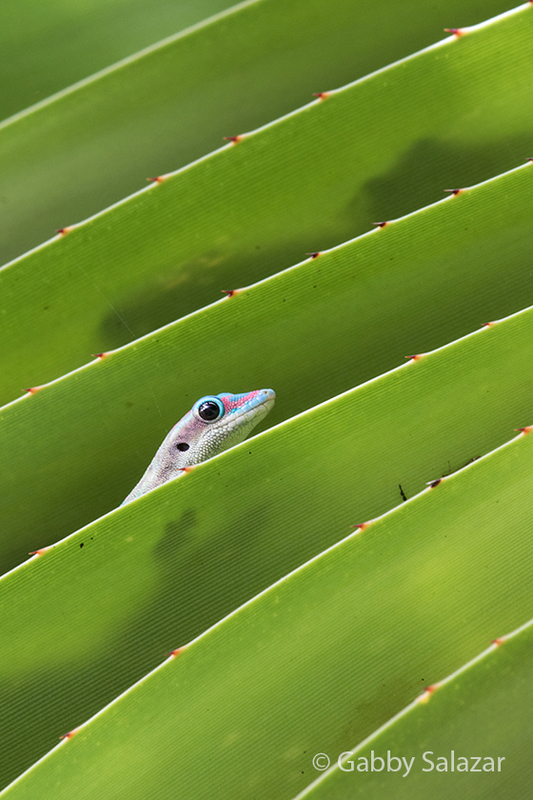 A Mauritius ornate day gecko (Phelsuma ornata) on a species of Pandanus. In addition to the animals, there are a host of rare plants. The island has become a kind of living museum and a reservoir in case the plants are wiped out in other parts of Mauritius. You can see the Round Island bottle palm, which has been transplanted from a small island of the northeastern coast of Mauritius. The palm is endemic to Round Island and is critically endangered – thankfully a few now grow on IAA. A plant nursery on the island also serves as a repository of rare and endangered species and attempts are being made to propagate other rare plants to aid in their conservation. 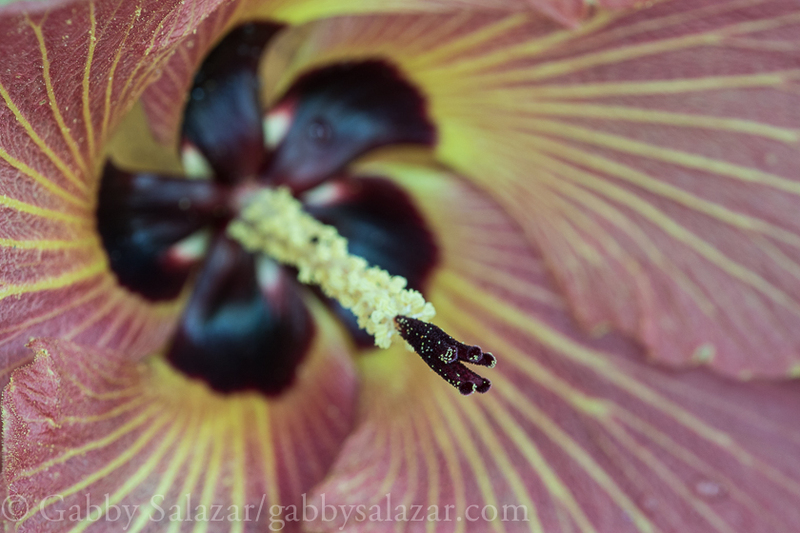 An endemic species of hibiscus. Hibiscus is used as an ornamental plant around the world, but many of the species come from Mauritius originally. 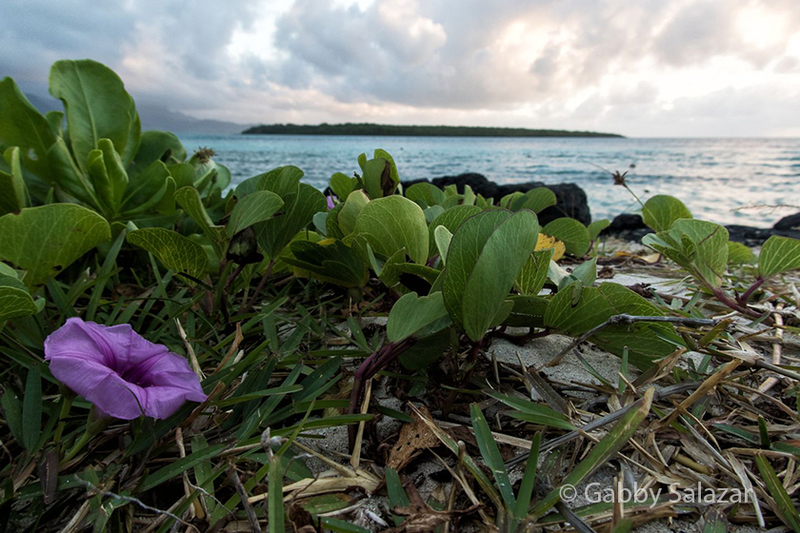 Beyond the incredible wildlife, what I most love about Ile aux Aigrettes is that it is open to the public. Tours can be arranged through the Mauritian Wildlife Foundation so that both tourists and locals can learn about Mauritius’ endangered species. While the story of the dodo is a fascinating one, I am frustrated by how much attention it gets relative to the island’s remaining species. The island is full of incredible animals and plants that are found nowhere else on earth – it is time for Mauritius to be known for what it has rather than for what it has lost. A dodo statue on the island reminds everyone of what has been lost. A view of Ile aux Aigrettes with Lion Mountain in the background. 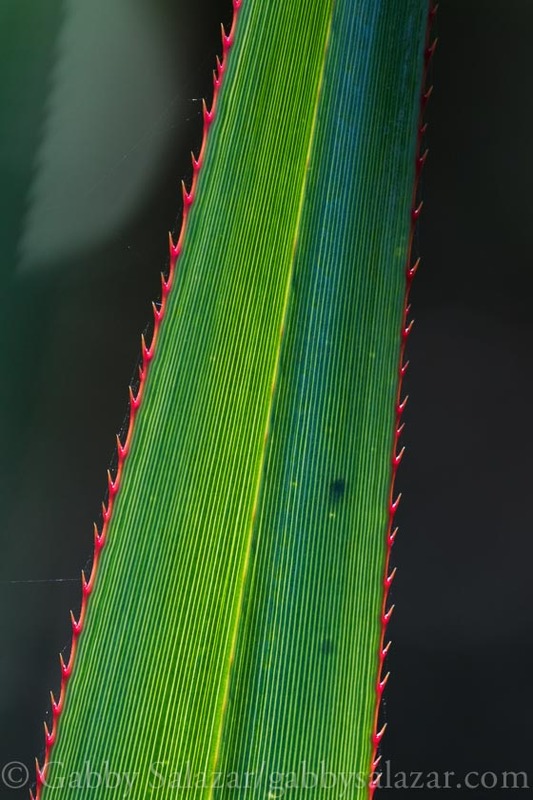 Pandanus vandermeeschii, a native plant species on Ile aux Aigrettes, Mauritius. Hey Gabby. Thanks for adding me to your blog list and great to see your new work. Hope all is well!